We all enjoy fruits, but everyone can relate to the struggle of choosing the best ones, keeping them fresh, and even cutting them. So we’ve gone ahead and compiled a list of the best tips to help you accomplish all of these things – and we’ve focused on cantaloupes, pineapples, watermelons, and strawberries. 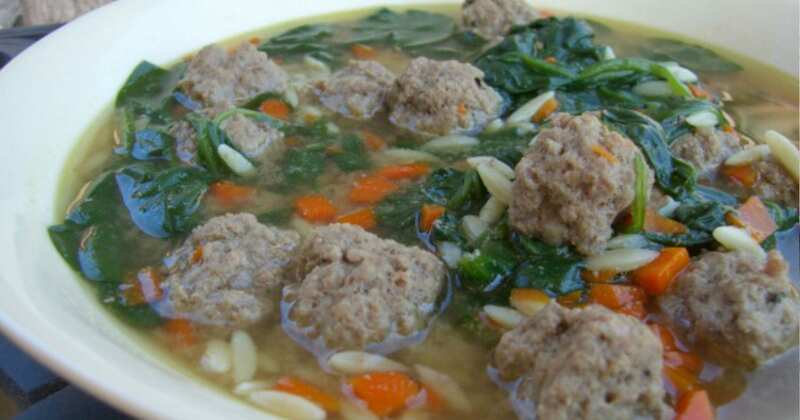 So take a look through this list for the best tips on them. Nothing is as refreshing as the sweet, juicy taste of a watermelon on a summer day. However, a watermelon can only be as good as the one you choose from the market. You may think that choosing a great watermelon is up to chance, but there are actually several ways to spot the perfect watermelon. In addition, we’ve compiled the best tips to choose other fruits (and even to make them last longer). We hope you find these helpful and informative! 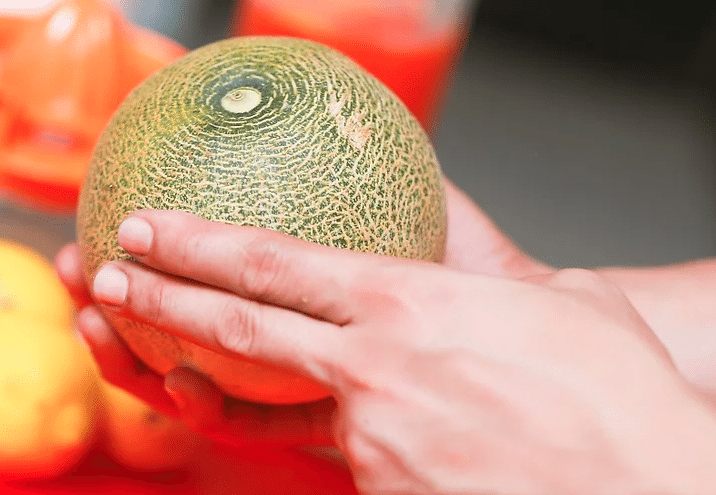 Picking the perfect cantaloupe isn’t as simple as you would think – follow these life hacks to make sure you get the best cantaloupe in the bunch. 2) For cantaloupes, first check out the rind for any defects. Sometimes you’ll pick out a juicy melon only to get it home and have it covered in bruises and marks. 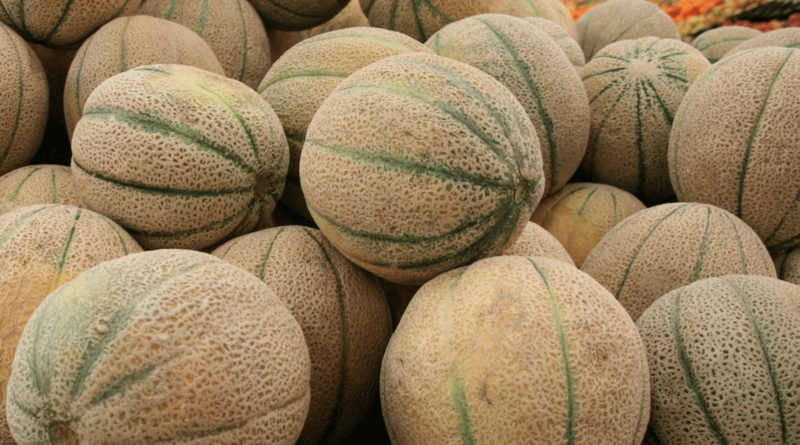 To prevent this, pick up the cantaloupe and check the outside for soft spots, indentations, cracks, bruises and and moldy patches. Once you’re all clear, you can move on to the next step. 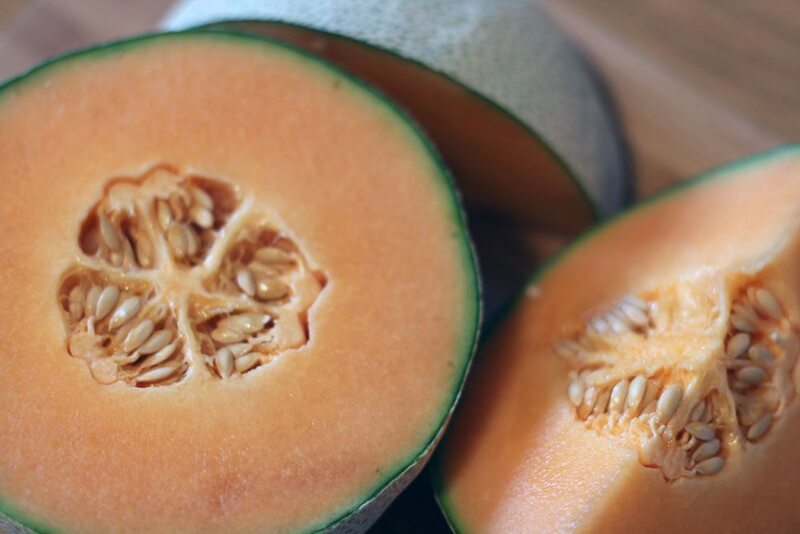 Although the inside of a perfect cantaloupe is colored a gentle orange or a salmon-y color, the outside of the perfect cantaloupe is quite different. If you’re looking to eat it right away, try to avoid any tones of green in the rind—that’s a sign that the fruit is not yet ripe. Instead, you’re looking for a rind that is a soft beige, with maybe a very faded green undertone. 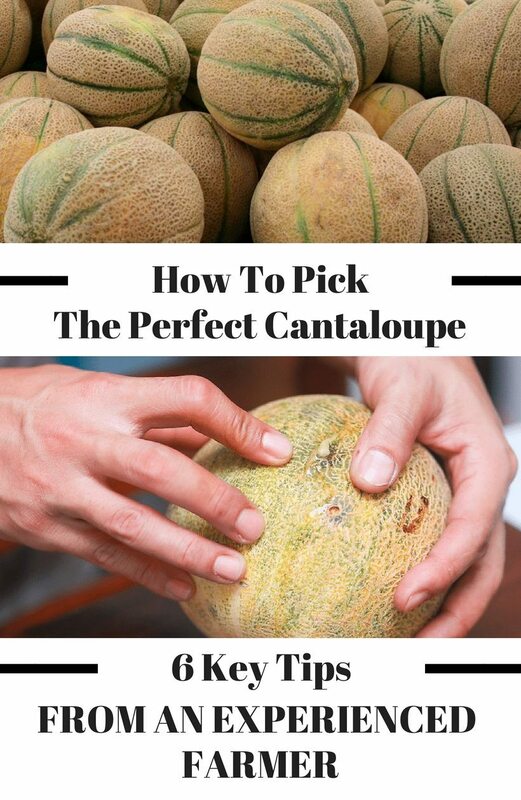 Comparing the cantaloupe to a few others can also be helpful to make sure you’re picking a good one. 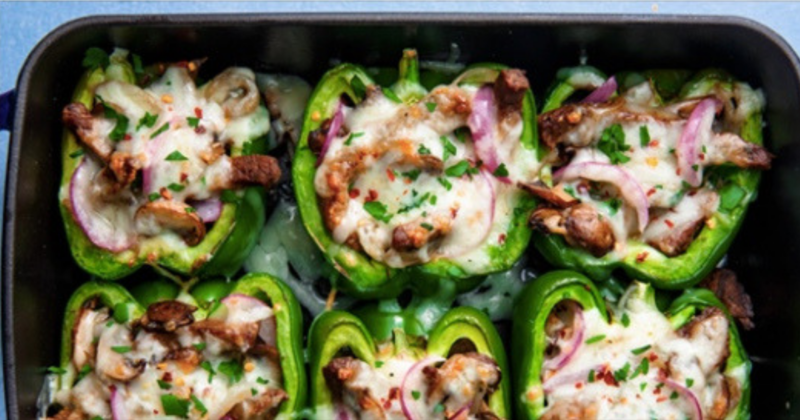 The general rule of thumb is: the heavier, the better. To make sure the pulp is the right consistency to eat, give the bottom end of it a gentle press in with your thumb to test its strength. 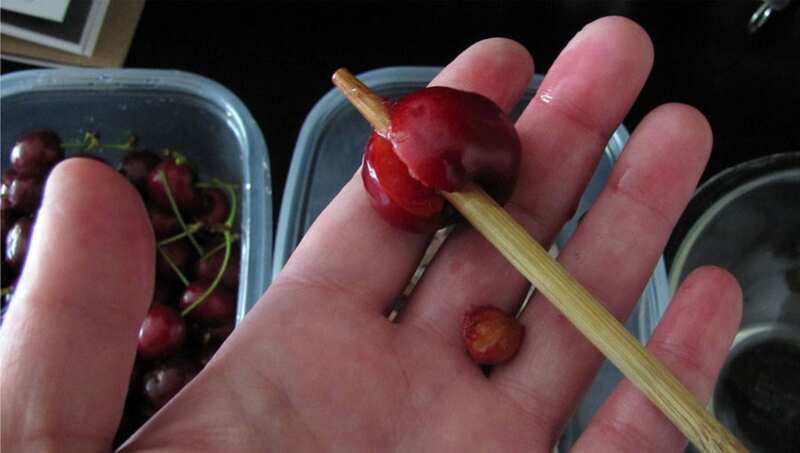 Ideally, the fruit will give just a little—though not too much. Too much is a melon that’s already starting to fall apart on the inside which doesn’t make for a good fruit salad. You can also give the melon a light rapping on the rind with the palm of your hand. Listen to the sound. If it gives off a hollow sound, you’re in good shape—any strange sounds likely mean that there’s something wrong with the inside. 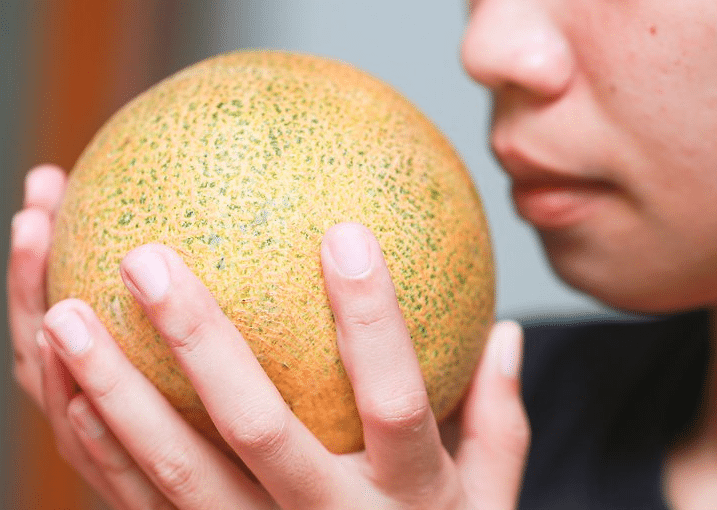 Put the cantaloupe right up to your nose and consider its scent. If it’s ripe, it should give off a gentle, sweet smell. 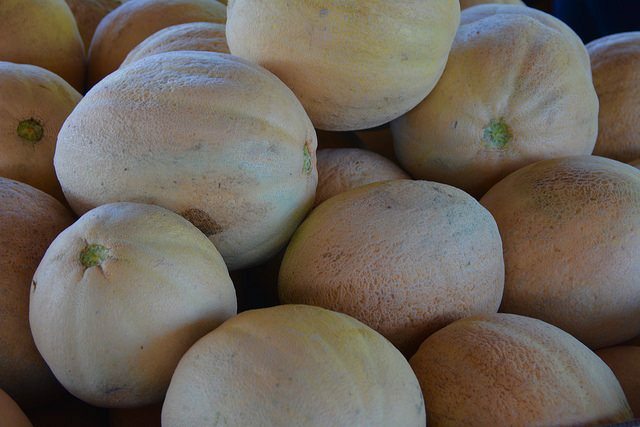 If you pick up one of these fruits and are overwhelmed by the scent coming off of it, that’s a good sign that the melon is past its prime and is now overripe. Don’t fall for the leaf test – follow these brilliant tips to pick the perfect pineapple, every time. 9) For Pineapples, don’t fall for the leaf test. Instead, examine the color. Although color doesn’t tell the full story when it comes to pineapple freshness, it’s at least a good place to start. 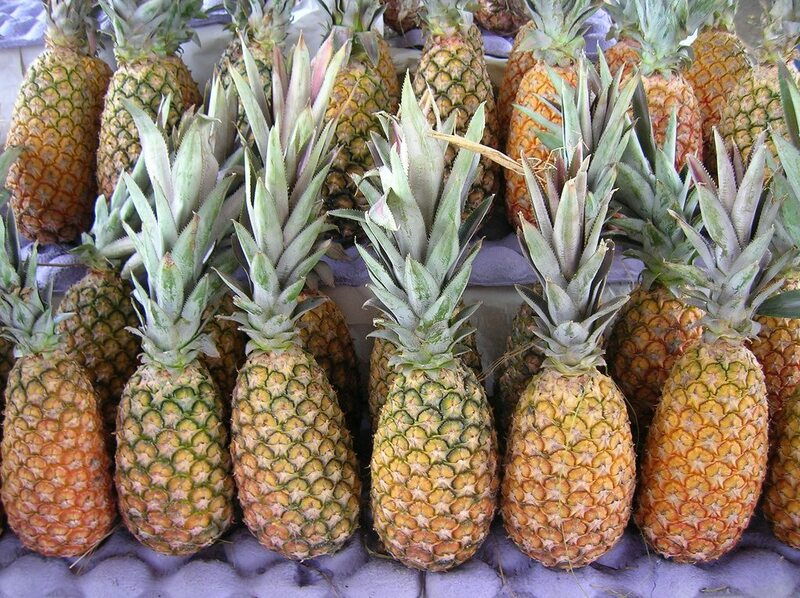 To begin, you want to pick out a pineapple that isn’t completely green. 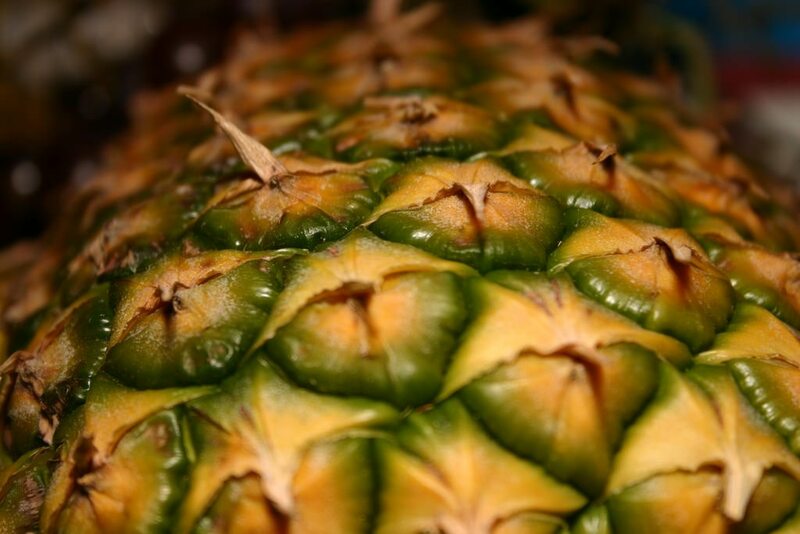 Typically speaking, a pineapple which is too green on the outside is not quite ripe enough. Still, having a bright yellow pineapple isn’t the only thing to consider. 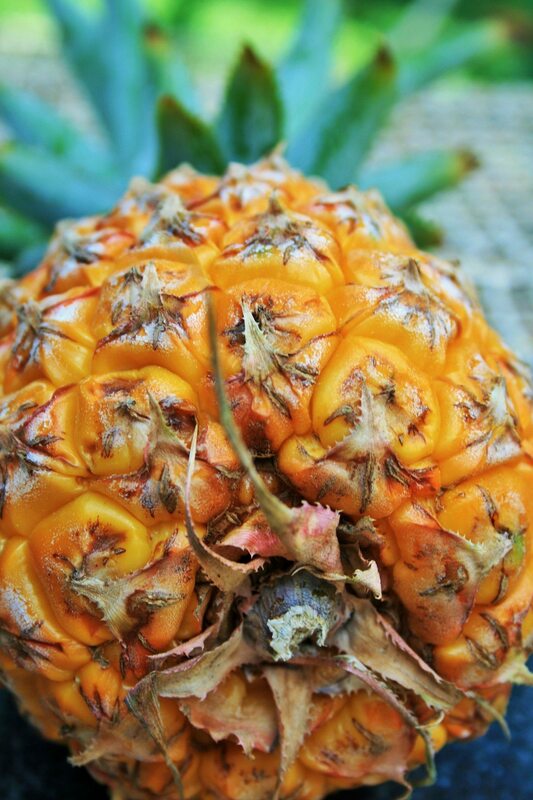 Although a good yellow pineapple is a good place to start, you’re not done looking your fruit over yet! The old trick says that you should be able to pluck one of the middle leaves out of a ripe pineapple when it’s ready to eat. Still, this tip is a little bit misleading. On the one hand, if you can’t pull a leaf out at all, the fruit probably isn’t ready to eat. On the other, if you could pull leaves out very easily, it probably means the pineapple is actually over-ripe and is starting to get mushy. What is true is that the leaves will be easier to pull out as the pineapple flesh gets riper, so somewhere in the middle is just right. 11) Give the pineapple a squeeze. As you handle a pineapple, you want to make sure it has a little bit of give in it before you cut it open to eat it. After all, a pineapple that is too hard on the outside is going to be too firm and probably not very sweet. You want the fruit to feel pretty plump and to make sure the skin isn’t too wrinkled or squishy. Make sure it looks and feels healthy and that there are no big soft spots. 12) Smell the bottom of it! Of all the tips on how to check if a pineapple is good to eat, smelling it is probably the best way. To do this, flip the pineapple over and give it a smell. 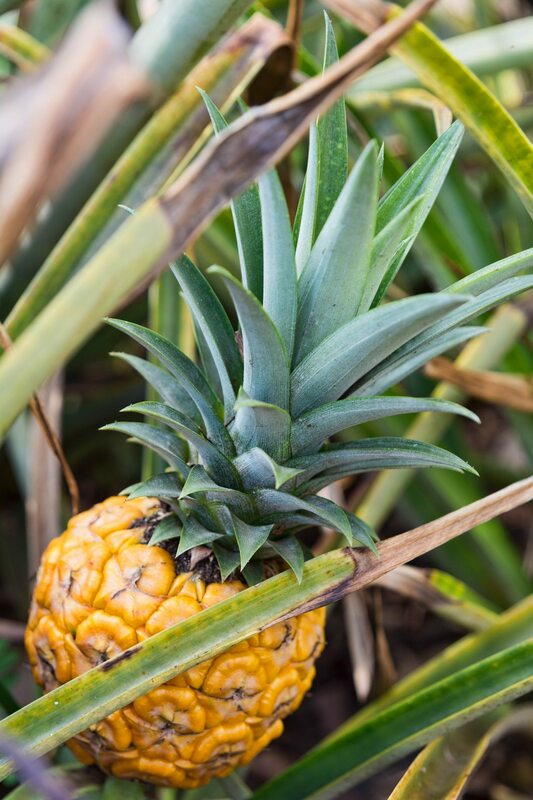 When the pineapple is ripe, it will have a pleasantly sweet and fresh smell to it. If you can’t smell much of an aroma coming off of it, it’s probably not ripe enough to actually be sweet and aromatic. On the other hand, if you get an overpoweringly sweet smell from it then it may be too late. These key tips from an experienced farmer will help you pick the perfect watermelon, every time. 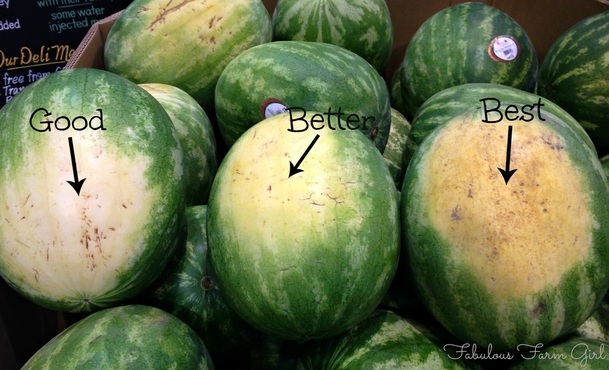 When viewing watermelons, the first thing that sticks out are those weird white spots. However, these spots (called field spots)are quite natural. The field spot is the area where the watermelon rested on the ground. While every watermelon has a field spot, the best watermelons have creamy-yellow or even orange-yellow spots. Go for the gold. The webbing of a watermelon indicates the amount of times that bees touched the flower. The more pollination, the sweeter the watermelon is. 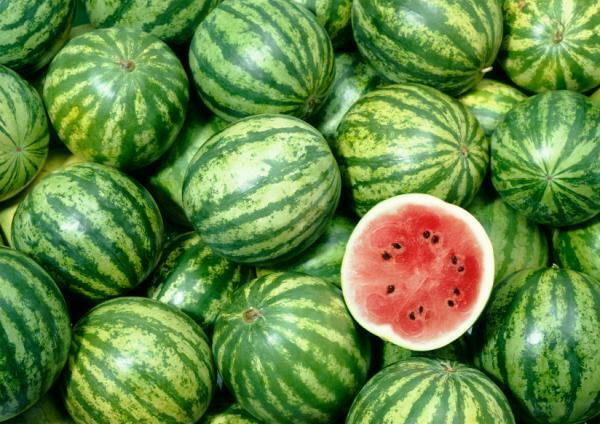 You may not have known this, but watermelons have genders. The ‘boy’ watermelons, are taller and more elongated, while the “girl” watermelons are more round and stout. The boy watermelons are more watery, while the girl watermelons are sweeter. Our common sense tells us that bigger is better. 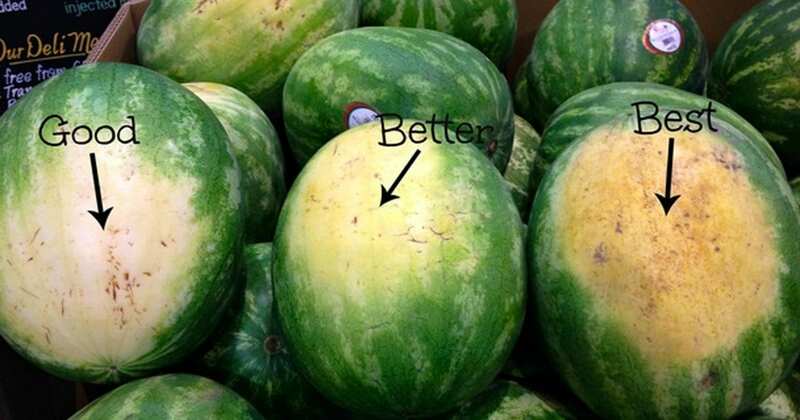 So we may think that we should get our money’s worth and get the biggest watermelon we can haul onto our carts, but in reality, the best watermelons are average-sized. Don’t go for too small or too big, but just right. Size matters. The tail of a watermelon indicates its ripeness. A green tail indicates that it was picked too soon and will not taste as good. Go for the watermelons that have dried tails for the best taste. You can’t judge a book by its cover, but you can judge a watermelon by its shell. With summer finally here, eating a delicious watermelon is a great way to cool off. 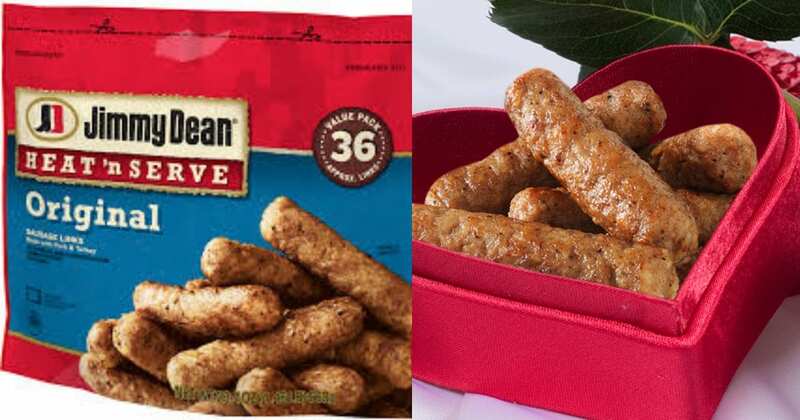 Just thinking about it right now makes my mouth water! But, the traditional way of cutting watermelon makes a huge mess – the rinds and juices get all over the counter. To make matters worse, the bigger slicers are also messy to eat. Luckily, this man shows a genius way of cutting the watermelon into sticks. This makes watermelon so much more enjoyable! 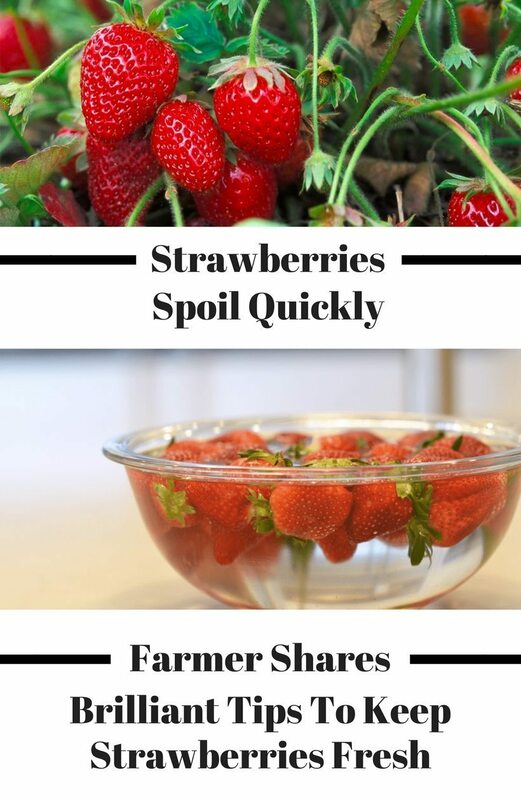 Strawberries spoil very quickly, so a farmer shared the brilliant tip he uses to ensure that they are fresh. Thankfully Hip2Save has shared a brilliant way to make sure that your strawberries stay fresh and last longer in your refrigerator. 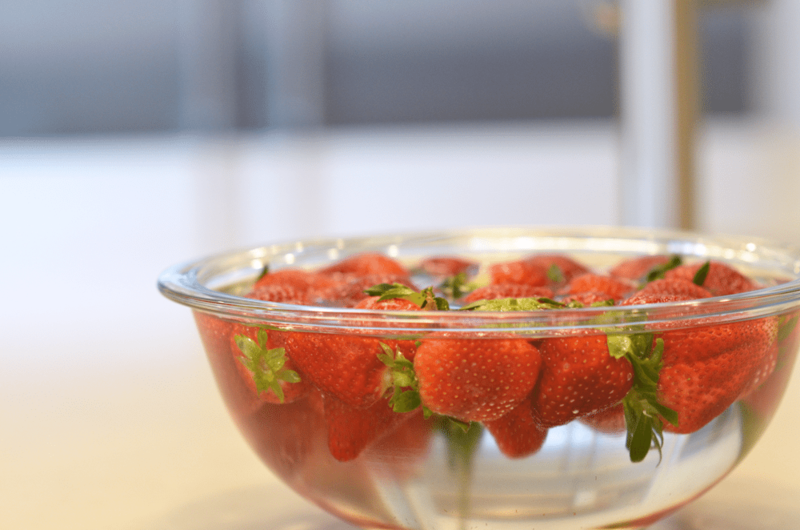 This hack will extend the life of your strawberries for days, or maybe even a week or two after you take them home and put them in your fridge. Before you get started, you should prepare white vinegar, water, and either a colander or a salad spinner. 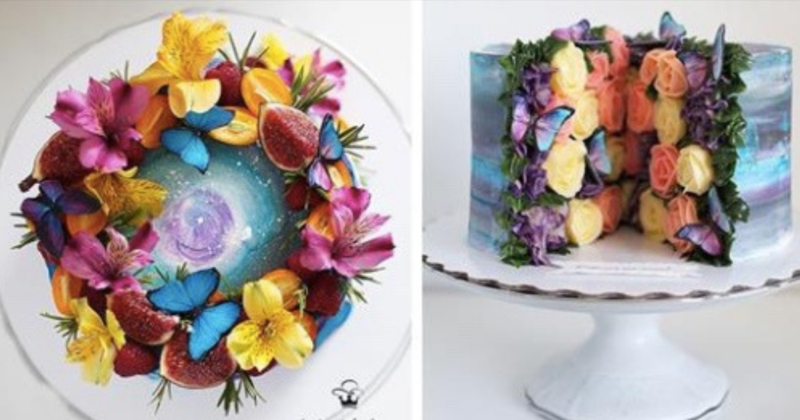 With these items (that you probably already have at home! 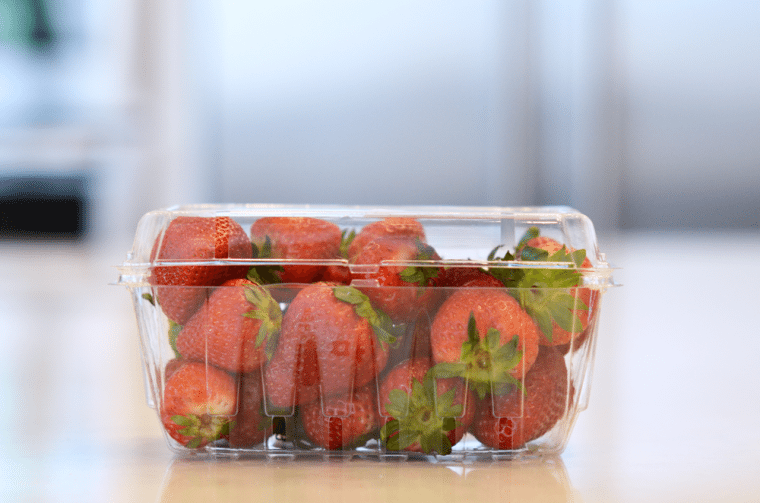 ), you’ll be able to preserve your strawberries for much longer! 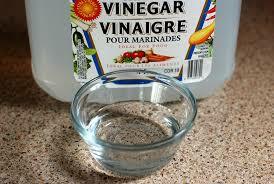 Pour 1 part white vinegar and 5 parts water into a large bowl. 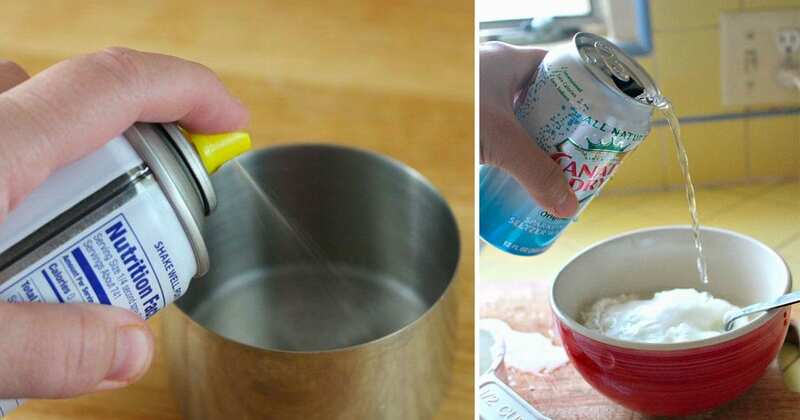 About 1/2 cup of vinegar and 2 1/2 cups of water should do the trick. Soak your berries in the mixtures for a few minutes. 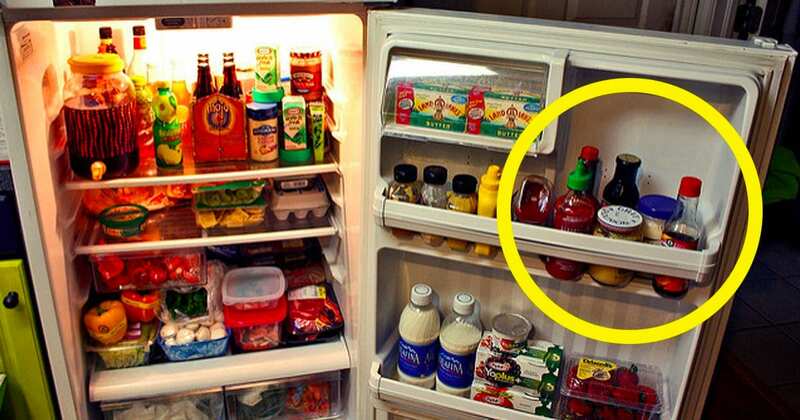 The vinegar will get rid of mold spores and bacteria. That’s the stuff that makes your strawberries spoil quicker. 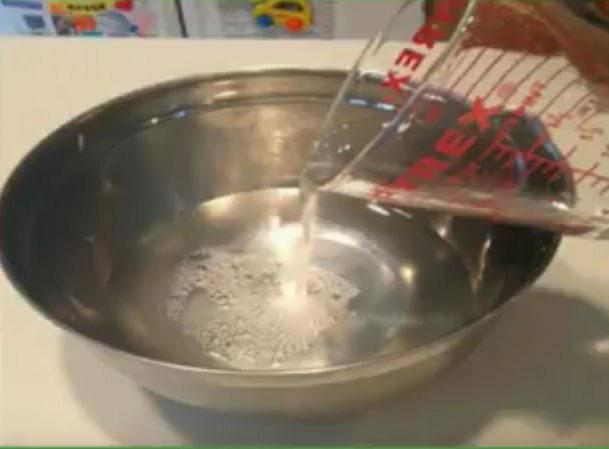 You’ll probably be grossed out by what the water looks like after your rinse your berries in this solution. Dry your strawberries thoroughly. You can place some paper towels into a salad spinner or let them air dry in a colander. Making sure you remove all of the moisture will prevent them from getting moldy. Place your strawberries back in the same container they came in (the green thing to do!). 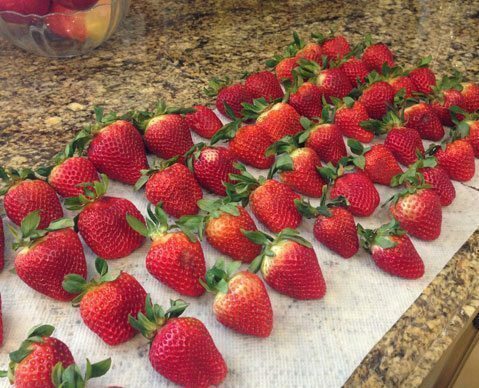 But make sure that they are completely dry – then, store the strawberries in your refrigerator. 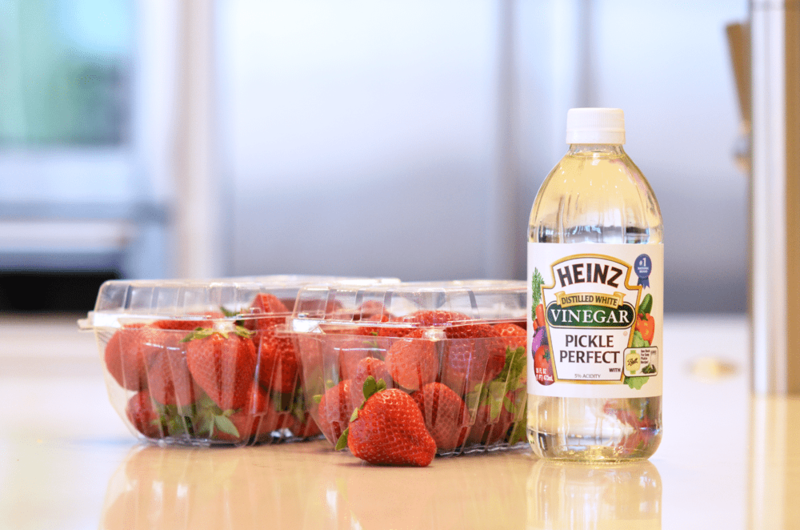 The strawberries will not taste like vinegar if they are completely dry. The Kitchn says you should keep the stems of your strawberries on until you’re about to eat them. this will prolong their shelf life. 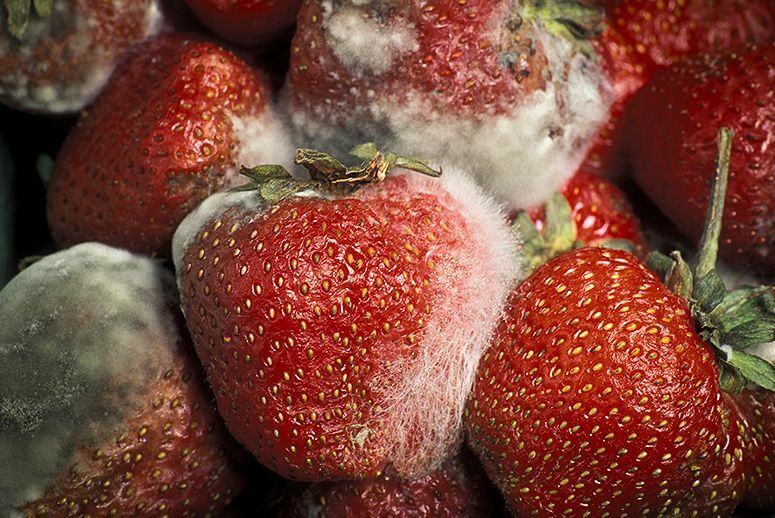 Also, if you notice any spoiled berries in your bunch that has mold on them, be sure to immediately remove them. This will prevent the mold from spreading and ruining the rest of them. 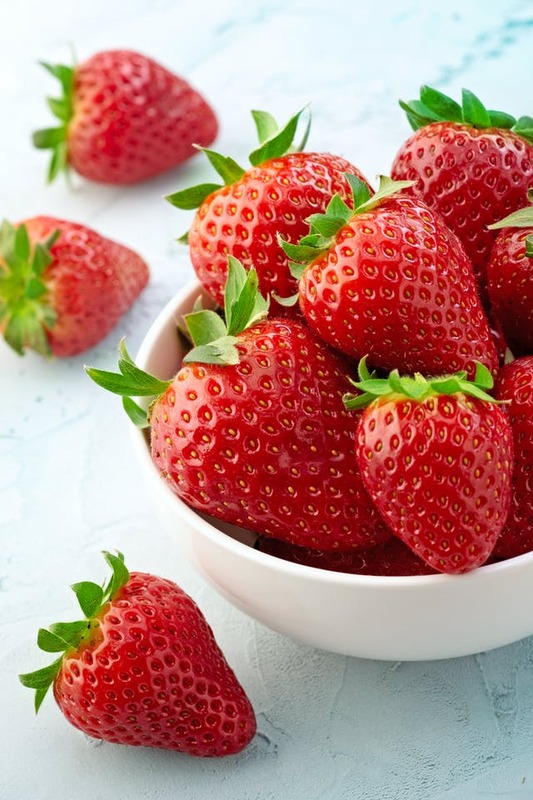 Enjoy your delicious tasting, longer lasting strawberries!